Enter the "WomenHuntFishNY" Photo Contest! The deadline for contest entries is Dec. 31, 2018. 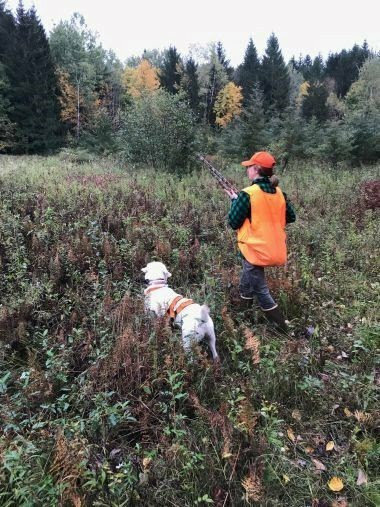 DEC will feature winning entries in next year’s New York State Hunting and Trapping Regulations Guide, and they may appear in a future issue of the Conservationist magazine, social media posts, DEC's website, and other outreach. Please do not reply to this e-mail. Replies go into an untended mailbox. For questions or comments, please contact Kelly Stang at the e-mail address below. NYSDEC and Becoming an Outdoors-Woman (BOW) are not responsible for lost, misdirected or undelivered e-mail. Pictured below: Mandy Bailey and her dog Boone.